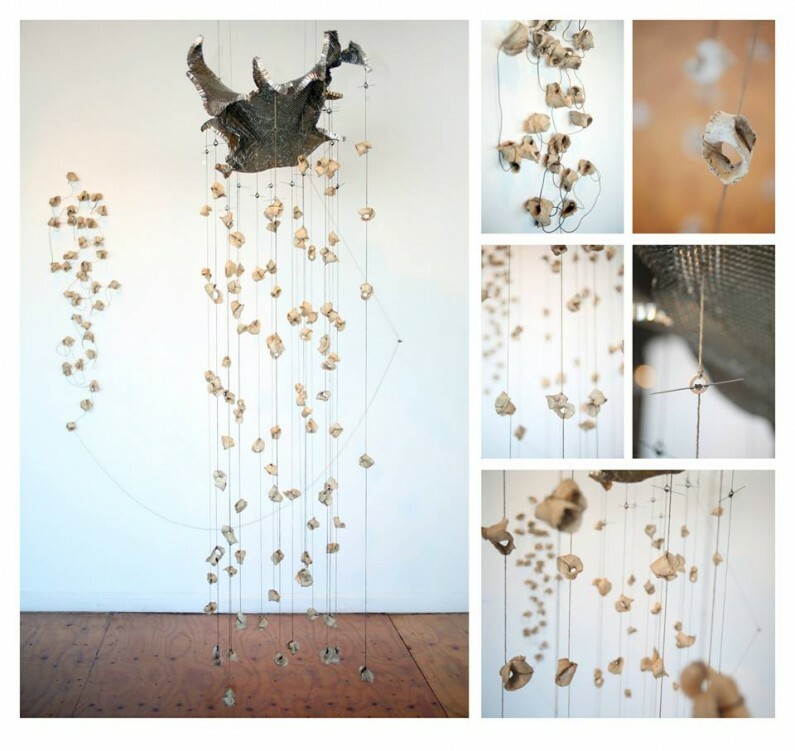 itty-three pieces mount into the wall and represent the number of vertebrae found in the human body. The hanging chandelier portion is suspended by a large sheet of perforated aluminum. It supports long strands of ceramic pieces which are threaded through twine and held purely by their own weight. These strands are kinetic as the trigger line (attached to back wall) is pulled to rock the aluminum top gently back and forth creating a clinking sounds as these hand-formed “bones” create swift twitching movements while bumping into one another to create subtle elegant clinking sounds.